Curved corners and reduced borders create a display that’s over 30 percent larger than the previous generation. 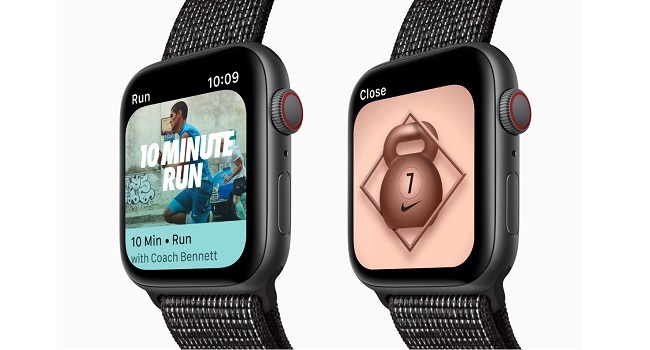 Let exclusive Nike watch faces with bold colors set the tone for every stride, rep, or moment of the day. 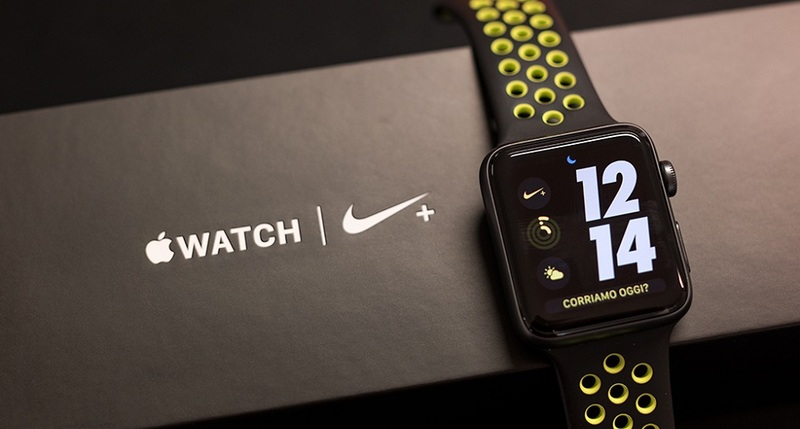 It’s part of the daily regimen for runners around the world, and now there are even more reasons to make the Nike Run Club app part of yours. Get a new Audio Guided Run every week with the voice of a guest coach and a curated soundtrack. View detailed in-run stats and metrics. And enjoy encouragement with new custom cheers. With over 180 free workouts featuring world-class Nike Master Trainers, you can tap into a multitude of drills to help round out your fitness and augment your runs. In addition, notifications provide workout recommendations to close your Exercise ring for the day.